Much has been written about the problem of "astroturf" patient advocacy groups (1,2,3,4,5,6). These are patient "support" groups with a facade of grassroots advocacy - but with real interests that lie elsewhere (7). It isn't hard to discern fake advocacy. The cracks show when concerns are raised about scientific dishonesty, hiding of evidence, and regulatory malfunction. Patients rely on honest independent science. Legitimate advocacy groups (such as MIND ) show concern and outrage when there is evidence of threat to the integrity of science upon which their patient "clients" depend. Mute behavior of an "advocacy" group provides evidence of illegitimacy. Less widely discussed is the inclination of some "advocacy" groups to intimidate individual scientists, clinicians or patients who wish to discuss concerns about scientific integrity. For a good example of this, I return to my ongoing investigation of the Gillberg Affair. Dr Leif Elinder (left) is one of the two individuals who raised serious concerns about the veracity of the study findings and patient consent in studies reported by the Gillberg team in Sweden. Elinder is an Uppsala pediatrician specialising in the care of children with complex educational needs. He also expressed concerns about poor science and industry influence underlying the diagnosis of ADHD (as have many others). 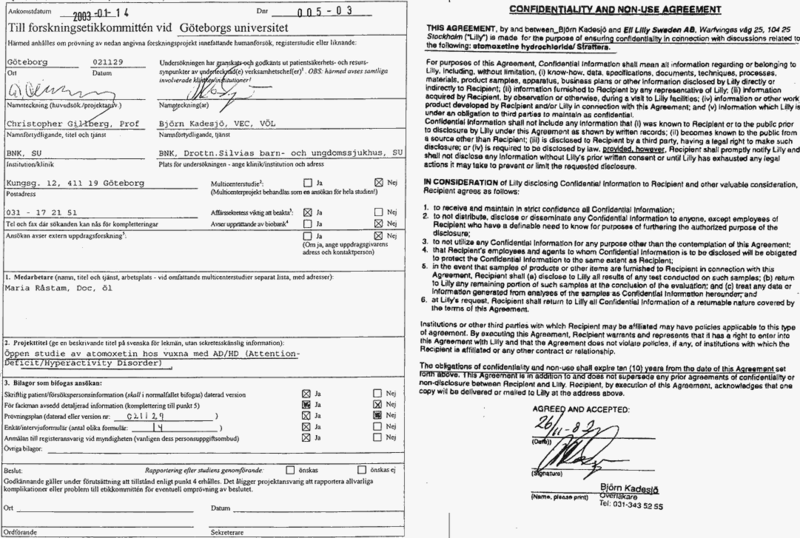 During these events the Gillberg team destroyed all their raw data, preventing any exploration of alleged research misconduct (for details see here and here). This followed a court order to allow proper and confidential scrutiny of the records by investigators. The Gillberg team provided a laughable rationale for their destruction of those data and their prevention of scrutiny. A key aspect of the science involving the diagnosis of ADHD was thereby placed into considerable doubt. Any legitimate advocacy group would have been outraged (likewise all honest psychiatrists). The Attention Society (Riksförbundets Attention) is the Swedish society supposedly advocating for children with ADHD (UK equivalent of ADDISS, or the US CHADD). What did these advocacy groups do? 1) Riksförbundets Attention did not criticize the actions of the Gillberg team. Neither to my knowledge did ADDISS or CHADD. 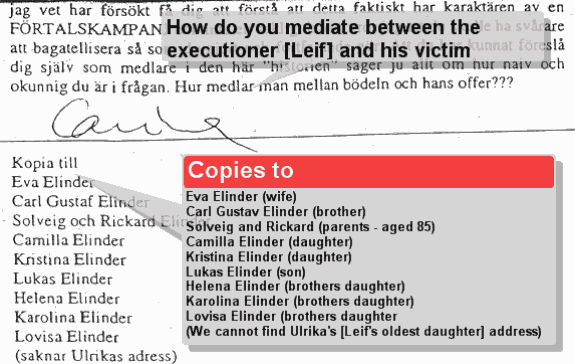 3) Riksförbundets Attention on their website resorted to the dismal technique of implying that Elinder is a Scientologist, which (even if relevant) he is not. They state: "När det gäller medicinering som är det stora svarta skynket för dessa personer, vars åsikter ligger nära scientologerna" [which is the real bad thing for these people, whose views are close to the Scientology movement]. 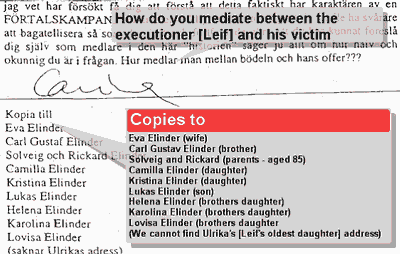 4) They then placed a formal complaint with the National Board for Education and the body that licenses doctors in Sweden about Elinder (not Gillberg). 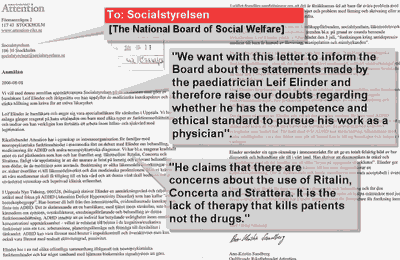 Ann-Kristin Sandberg, Chairman for the Riksförbundet Attention had approached both The National Board of Social Welfare (Socialstyrelsen, the body that registers doctors in Sweden) to "investigate whether the Uppsala physician Leif Elinder, known for his controversial views on ADHD should be allowed to keep his doctors certificate". 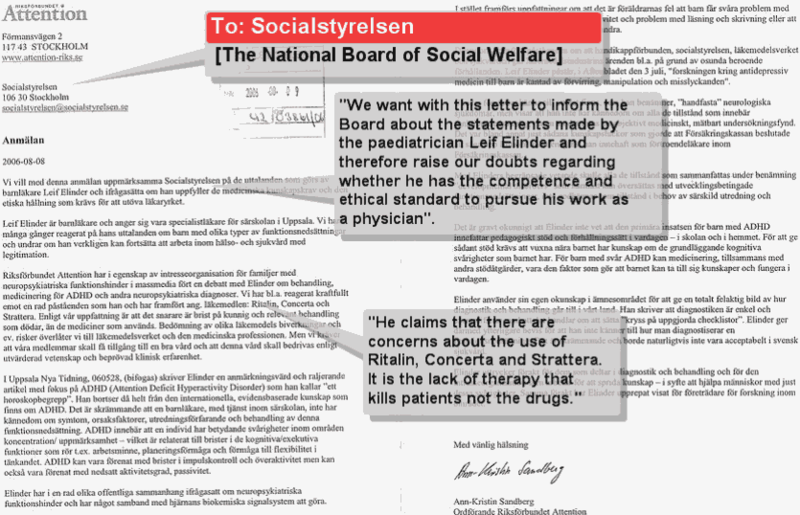 "The organisation has the view that the National Board of Social welfare (Socialstyrelsen) should investigate Elinders suitability as a physician" "This spring he wrote an article for the newspaper in Uppsala where he called ADHD concept a horoscope. This was the final straw and it was taken as an insult towards our members who are suffering from the symptoms." "The view of the Attention society who strongly attacks Leif Elinder who calls ADHD a horosope concept. 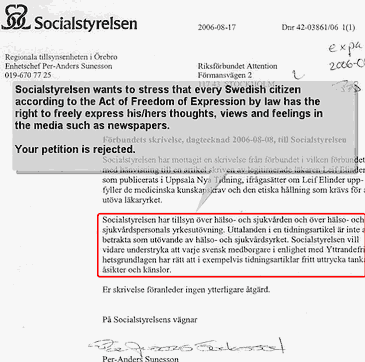 For this reason the Attention society, an interest organisation for people with neuropsychiatric disabilities such as ADHD have sent a petition to Skolverket to attempt to consider whether Elinder can pursue his work in his field"
7) Gillberg as well as his wife (Carina) wrote intimidating letters to about a dozen member's of Elinder's family, but Riksförbundets Attention didn't comment on the appropriateness of this either. 8) In the meantime the website of Riksförbundets Attention states that they get extensive funding from a variety of pharmaceutical companies. 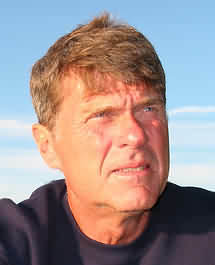 Dr Björn Kadesjö is one of three members of their medical advisory board. This same Kadesjö has co-signed commercial pharmaceutical confidentiality agreements with Gillberg (link). Kadesjö has published 14 papers with Gillberg about ADHD (link) constituting Kadesjö's entire research output. Woe be to all of us. Björn Kadesjö is on the faculty at EINAQ. According to his bio there, he is head of the Child Neuropsychiatric clinic at Queen Silvia’s Hospital in Gothenburg, Chair of the Nordic Group of Experts on ADHD, and Scientific Adviser to the Swedish National Board of Health and Welfare. He also authored the book Children with Attention Deficit and, at the Swedish National Board of Health and Welfare’s request, a review of ADHD in childhood and adolescence which is currently the standard ADHD reference text in Sweden. EINAQ is the European Interdisciplinary Network for ADHD Quality assurance. It comprises ADHD experts from universities, hospitals, and private practices. A goal of EINAQ is to advance the awareness, acceptance, diagnosis, and treatment of patients with ADHD. Much of EINAQ's work is in partnership with Thomson Advanced Therapeutics Communications (a division of Thomson Healthcare) and is supported by an unrestricted educational grant from Eli Lilly & Co.
"is supported by an unrestricted educational grant from Eli Lilly & Co."
That sounds familiar. ADHD at Harvard familiar. Gillberg's science is bent, but even more bent are the flocks of psychiatric sheep rushing to defend the indefensible. In their absolute certainty that Gillberg is such a nice man that nbo questions can be asked, they forget who they are and what is right. For all those wanting quality health care, this discussion regarding aggressive and deceptive marketing practices by the pharmaceutical giant Eli Lilly is extremely important. Medical Whistleblower will be interviewing Former Eli Lilly executive, Dr. John Virapen Ph.D. on Monday Aug 3, 2009 at 9 AM Central Time. Go to www.blogtalkradio.com/medicalwhistleblower to tune in or call (347) 857-4599. What Dr. John Virapen PhD can reveal to us is especially important in the wake of the recent $1.4 billion settlement from drug maker, Eli Lilly. John Virapen used to be the executive director of the Swedish branch of Eli Lilly & Company, one of the biggest internationally active pharmaceutical companies. Dr. John Virapen has been working for more than 35 years for the pharmaceutical industry, as manager for several companies such as Eli-Lilly and Novo Nordisk. While working for Eli Lilly, John Virapen engaged in the development of aggressive marketing strategies, which included to massive corruption in more than one occasion. He participated in the distribution of drugs, which cause massive and dangerous side effects – like the death of the patient. Pharmaceutical companies invest the considerable amount of 35,000 Euro per year and physician to get the physicians to prescribe their products. John Virapen says that more than 75 percent of leading scientists in the field of medicine are paid for by the pharmaceutical industry. In some cases corruption prevailed in the approval and marketing of drugs. John Virapen writes that illnesses are made up by the pharmaceutical industry and specifically marketed to enhance sales and market shares for the companies in question. Pharmaceutical companies increasingly target children. The drug giant, Eli Lilly, recently plead guilty to promoting its drug Zyprexa for uses not approved by the Food and Drug Administration (FDA). Eli Lilly was found guilty of pushing Zyprexa for extra label uses, withholding research to the public and false advertising. The criminal fine of $515 million is the largest ever in a health care case, and the largest criminal fine for an individual corporation ever imposed in a United States criminal prosecution of any kind. Eli Lilly will also pay up to $800 million in a civil settlement with the federal government and the states. There have been years of withheld information regarding the adverse side effects of pharmaceuticals promoted by Eli Lilly, including the possible role of Prozac in inducing suicide and homicide. The signs of drug induced violence and suicidality were there since Prozac was first tested in pre-marketing trials. There were suppressed clinical reports of Prozac’s adverse side effects including psychotic episodes, completed suicides and attempted suicides. Long term effects of the use of SSRI’s like Zyprexa have not been fully independently studied but these drugs are routinely prescribed for long term use. Preliminary studies of some of Eli Lilly's drugs pointed to serious potential adverse side effects of chronic use including debilitating movement disorders, seizures, cardiac problems, diabetes and Parkinson’s disease.